Marian Etter Warner- age 73 passed away Tuesday January 29, 2019 at her home in Hull, Texas. Marian was born in Liberty, Texas July 31, 1945 the daughter of the late William Wheeler Etter and Agnes McCreight Etter. Marian loved to spend time with her family and grandchildren. She was a cat lover who was giving and loving. Marian also enjoyed watching the birds and taking vacations. She was a longtime member of Hardin Baptist Church and served on the Moss Hill Community Cemetery Board. A graduate of Hardin High School she went on to receive her bachelor’s degree in Nursing from St. Mary’s School of Nursing. 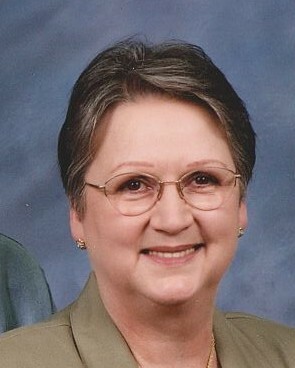 She later became the school nurse for Hardin ISD and retired after thirty-six years of service. Marian was preceded in death by her parents as well as her husband of fifty-one years Robert “Butch” Warner. She leaves behind to cherish her memory her son Chris Warner and his wife Tonya of Hull, brother Raymond Etter and his wife Diann of Hardin, her three grandchildren Mason Samuel Warner, Alisha Whatley, and Bryce Whatley and his wife Sarah. In addition, she also leaves her great-granddaughter Aubrey Whatley and numerous extended friends and family. A funeral service for Marian will be held 2PM Friday February 1, 2019 at Hardin Baptist Church. Visitation will be held one hour prior to the service. Burial to take place in Moss Hill Cemetery. Condolences and memories can be shared online at www.allisonfuneralservice.com.